The Breitling Watch Source Forums • View topic - any ideas where to find one of these??? any ideas where to find one of these??? Post subject: any ideas where to find one of these??? Hi guys, i'm still kind of new to watches, but i saw this beautiful vintage breitling and wanted some opinions. This was listed as a breitling Chronograph Medical Landeron 39 Men´s 37mm 1940c , but looks to be from the old venus line of watches. Does anyone have any information on this particular model, or where i could pick one up potentially? I fell in love with it and have to find one haha. Thanks in advance. Post subject: Re: any ideas where to find one of these??? Not sure it's authentic. Dial is reprinted. Need to get photos of the caseback and movement to see what's in there. quick update, after a revelation i managed to track it down to be a venus 175 i believe. now only to find one. i had figured that it wasnt the original dial. the closest i could find to this was a breitling made zais pilot watch. how difficult is it to have a new dial face made for one of these old watches? 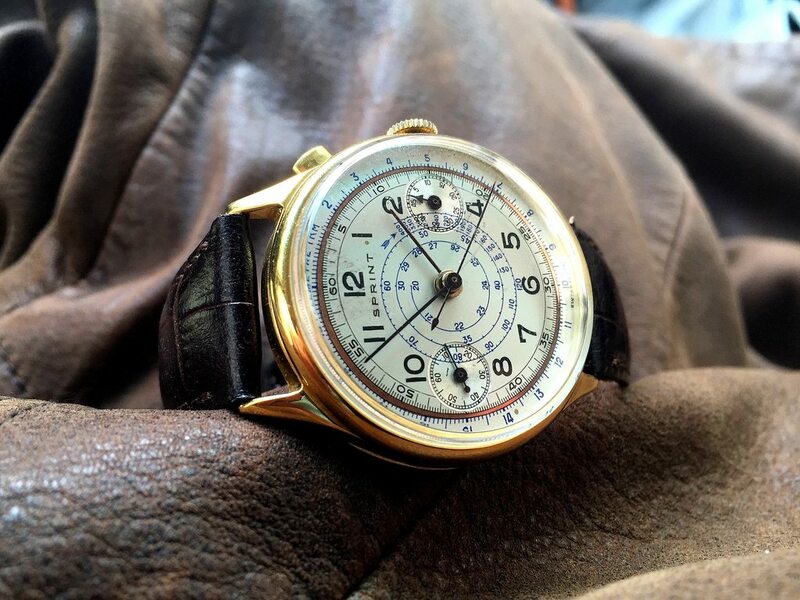 I would suggest you spend some time reading through this forum section it may help you understand what is valued, and what is not, in the vintage watch community. I don’t think that printing a día for an “old watch” is one of the things that this group would be able to give you a lot of good advice about. Good luck. so you'll know what to look for, that's how an original dial looks. watches were either unbranded or branded Sprint or Montbrillant, Breitling only (quite slowly and inconsistently) starts appearing in the mid 1930s. doubt that, can we see a movement shot? watchfred, i have a picture of the movement in the zais i found. Last edited by The_Relic on Fri May 18, 2018 4:05 am, edited 1 time in total. is that the movement that you believe it to be? no, the movement I know it to be.